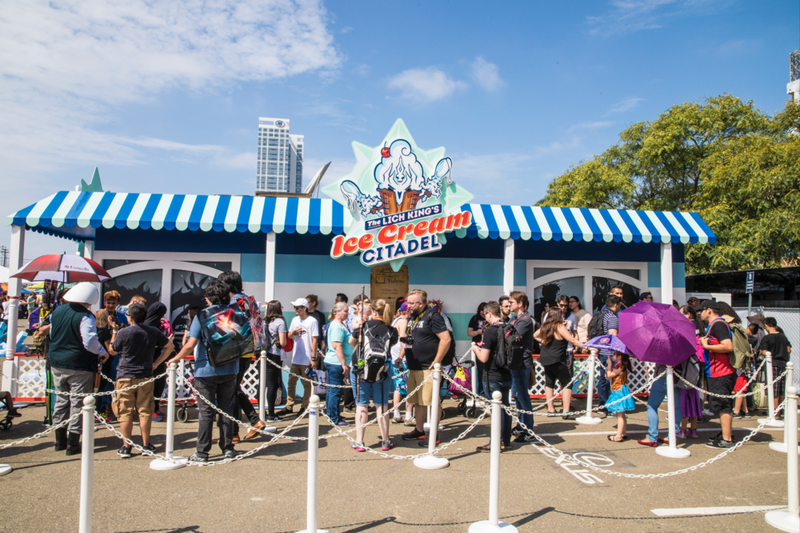 Blizzard and Grandesign teamed up during Comic-Con to produce the Lich King’s Ice Cream Citadel to promote Hearthstone. A custom facade was built around a walk-in freezer to create a frozen-over ice cream parlor. Nitrogen ice cream was served to those brave enough to enter the Ice Cream Citadel. Fans also got to take a photo next to the Lich King on his 8ft. throne!